Canada Scott # 2335 issued July 6, 2009 depicting Roadside Attractions. Canada Scott #2387 issued May 13, 2010 depicting Marine Life. Canada Scott #2384 issued May 4, 2010 depicting the 100th Anniversary of the Canadian Navy. Canada Scott #2396 issued July 2, 2010 depicting art work of Prudence Heward. Canada Scott #2397 issued July 5, 2010 depicting Roadside Attractions. Canada Scott #2366 issued Jan 12, 2010 depicting Vancouver 2010 Olympics. Canada Scott #2373 issued Feb 22, 2010 celebrating the Olympic Spirit. Just lookit aaaallll them souvenir sheets! 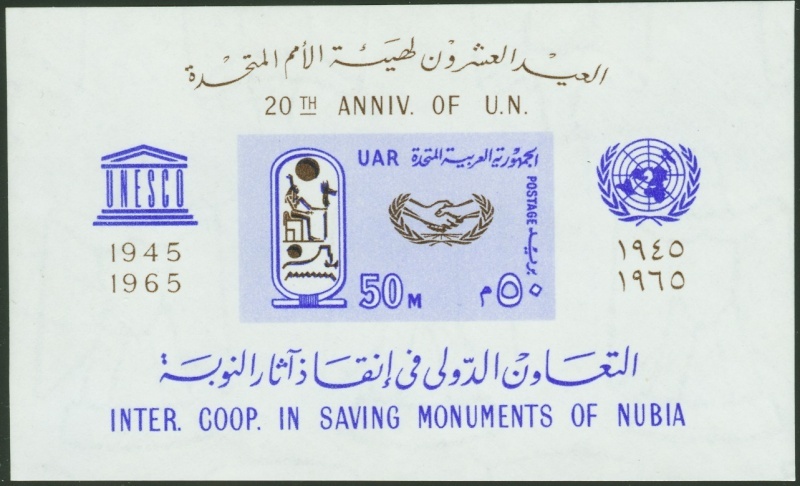 Egypt #684(24Oct1965), United Nations 20th anniversary. Note the 1965 date on the left and compare to the date on the right. 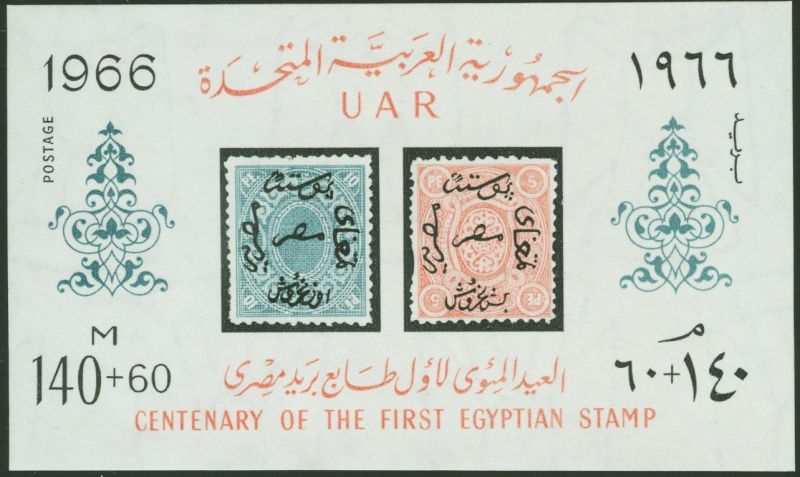 Yeah, you might think it was "1970" but that's actually Arabic numerals for the English 1965. The "Arabic" numerals used in English aren't the same! 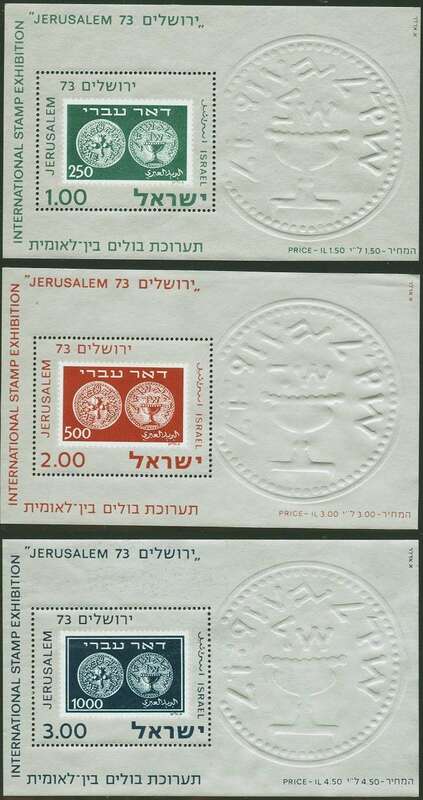 Israel #532-534(25Mar1974), Israel, 25th anniversary. 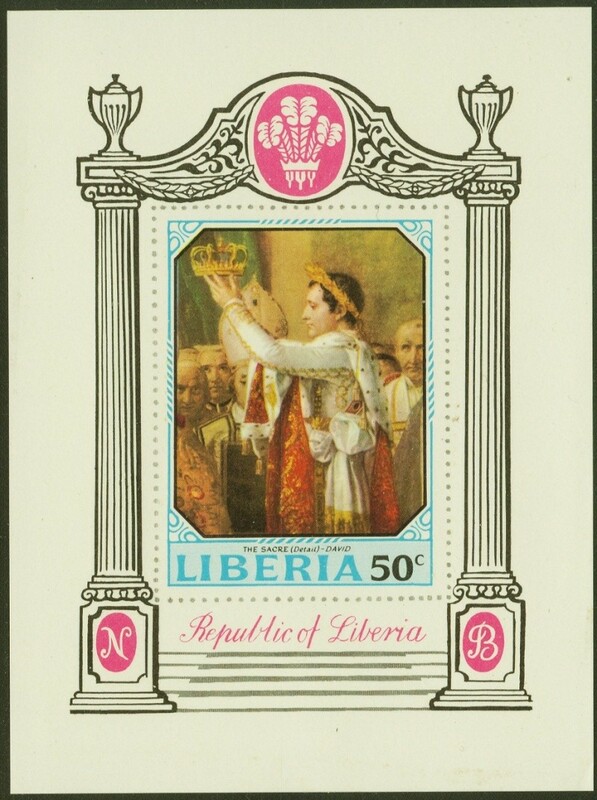 Liberia #531 (20Oct1970), Napoleon Bonaparte birth, 200th anniversary. 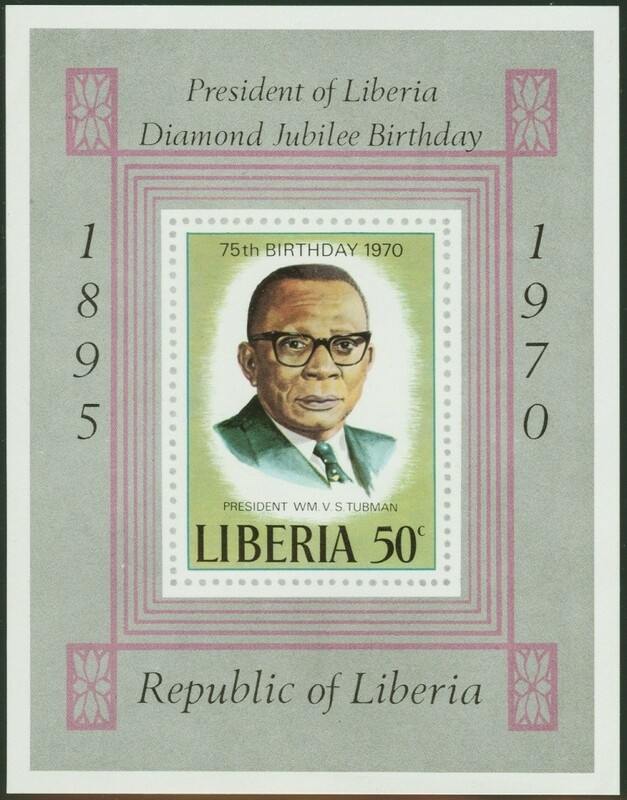 Liberia #533 (20Nov1970), V. S. Tubman birth, 75th anniversary. Canada souvenir sheet Scott #2341a issued Oct. 19, 2009 titled "Lest We Forget". Canada Scott #2173 issued Sep. 29, 2006 depicting Endangered Species. Canada Scott #2166b issued Aug. 3, 2006 depicting Duck Decoys. Canada Scott #2206 issued Mar. 1, 2007 depicting lilacs. 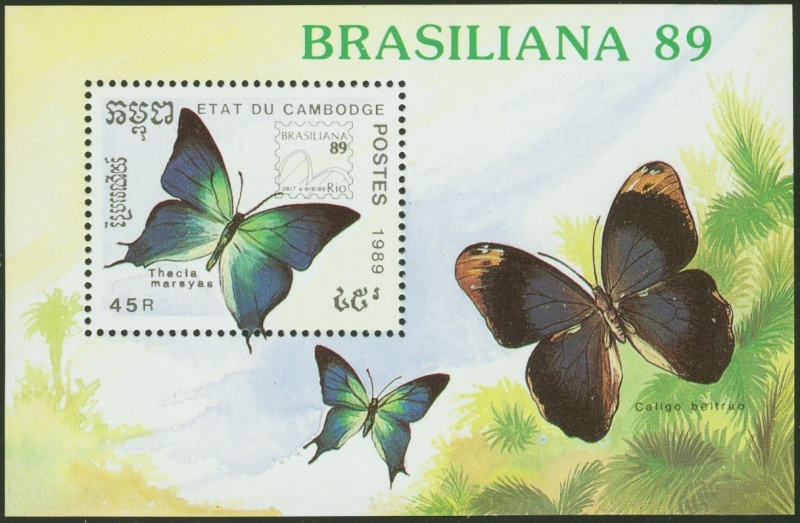 Canada Scott #2212 issued Mar. 15, 2007 depicting the art of Mary Pratt.